Umrah is the one of the most favorite ritual of our Holy Prophet (PBUH) as he performed Umrah many times in his life. Many Muslims follow this Sunnah of our holy prophet throughout the year every year. Umrah is to be performed with full dedication, love, integrity and with purity. Allah promises great rewards for the people who bear the hardships of travel and distance from home only for the worship of Him. Holy Quran tells us many of the great rewards for content and obedient Muslims. There are also many Hadiths glorifying the importance and rewards of performing Umrah and Hajj. Allah’s Guest Abu Hurairah (RA) said: Allah’s Messenger (PBUH) aid; “The guest of Allah are three; the Ghazi (the warrior who fights for God), The Haji (the pilgrim who performs Hajj) and the Mu’tamir (the pilgrim who performs Umrah)”. This one hadith is more than enough to show the importance of performing Hajj and Umrah in Islam. Pilgrims who perform Umrah taste the most delightful experience of being Allah’s guest and by this it means the deep peace and calmness one gets when he goes for Umrah. Allah showers his blessings for the guests who come from countries all over the world to worship Him and in return Allah blesses them with peace and serenity. This feeling is absolutely unexplainable. Forgiveness of his Sins Allah never disappoints anyone who has firm believe in Him. Allah has mentioned the punishments for the sins. But Allah is great and merciful. He cannot see the humanity to suffer. Anyone who bears the hardships of travel and separation from the home, Allah promises him to forgive all his sins and a great reward for the Umrah and dedication. This beautiful Hadith shows Allah’s promise about the forgiveness of all the sins of the person who performs Umrah. Equivalent to Jihad Jihad has many types. But the supreme definition of Jihad is to struggle for Allah and His purposes. If we see deeply, Umrah is one of the type of Jihad and it fits best in the definition of Jihad. And rewards for Jihad are unending. The person who dies in Jihad never dies as promised by Allah and Allah forbids others to call them dead. The ranks of Jihadi is greatest among all others. These great rewards of Jihad are given to anyone who performs Umrah and Hajj. Abu Hurairah (RA) said that Allah’s Messenger (PBUH) said;” Jihad of the elderly, the young, the weak and the women is Hajj and Umrah. This beautiful Hadith shows how great the rewards of performing Umrah and Hajj are. Performing Umrah is itself a great feeling. May Allah give us all the opportunity to have this feeling in our life. 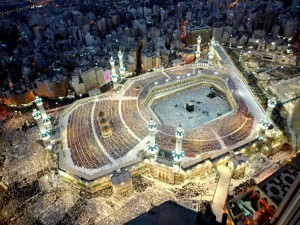 Plan your Umrah and Hajj journeys with Makkah Tours with very affordable and amazing packages. kaabahtours.co.uk is one of the authorized Hajj and Umrah travel agent based in UK offers a range of Umrah Packages 2016 from UK. ← Why Do Muslims Dream To Perform Umrah?